Your Subaru holds its value for the long haul – that’s why you may be able to trade up your vehicle for a new Subaru that could have lower or similar monthly payments. Let’s see if you’re eligible for a Subaru Trade Up Advantage offer today! 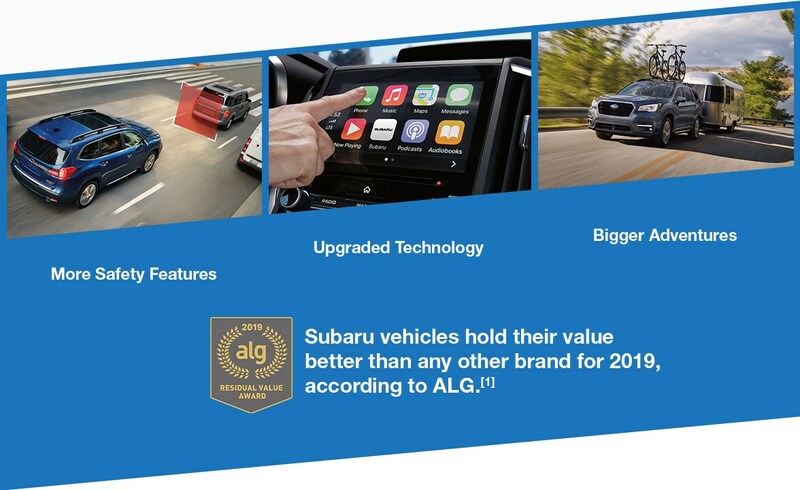 ALG named Subaru the 2019 Top Mainstream Brand for Residual Value. Award based on ALG's residual value forecast for the 2019 model year. ALG is the industry benchmark for residual values and depreciation data (www.alg.com).